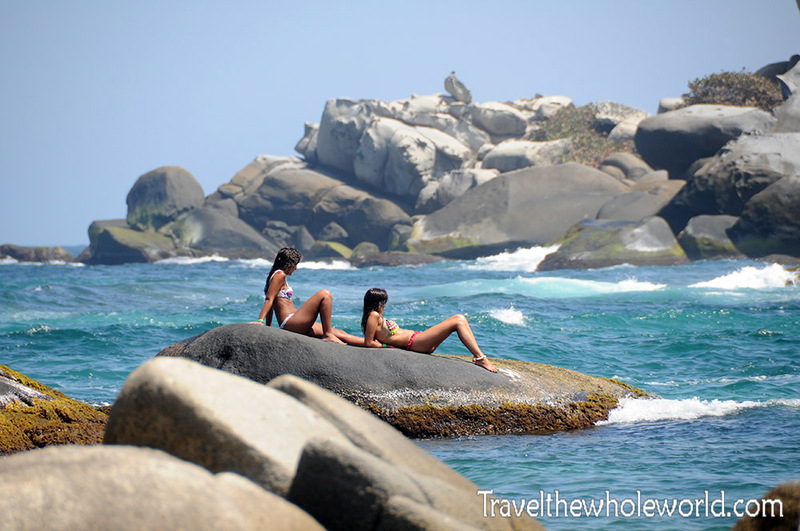 Colombia’s Tayrona national park lies on its northern Caribbean coast. 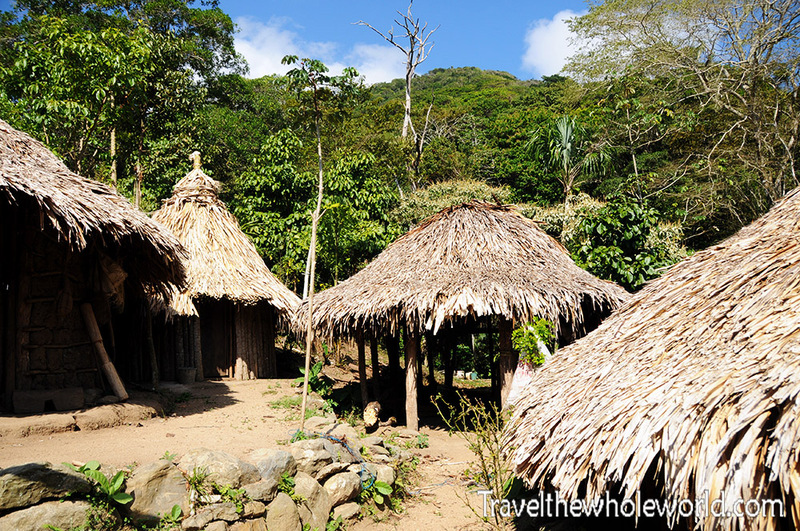 Full of jungles, beaches, and even historic native American ruins, Tayrona is one of the best natural places to visit in the country. What I liked about Tayrona is there are options to enter the jungle through various trails that make you feel as you’re completely lost in the woods. 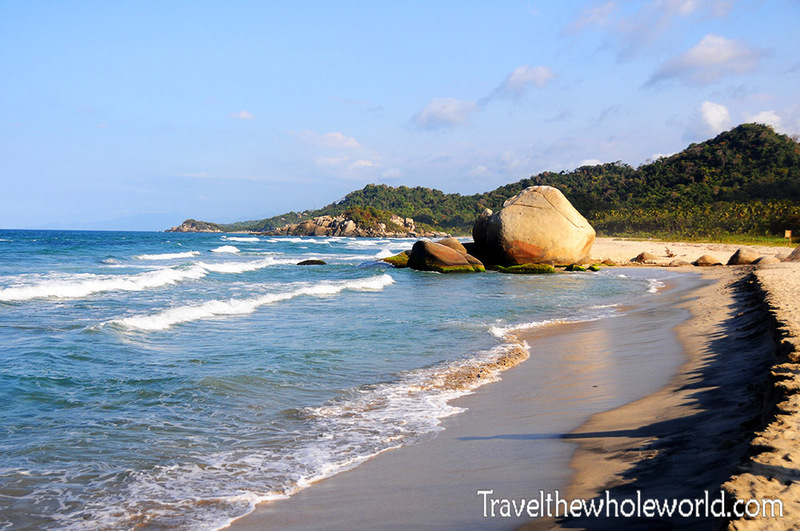 After a few hours of hiking, you’ll suddenly stumple upon the beautiful coast. The photo above was one of the first photos I took as I entered the jungle. 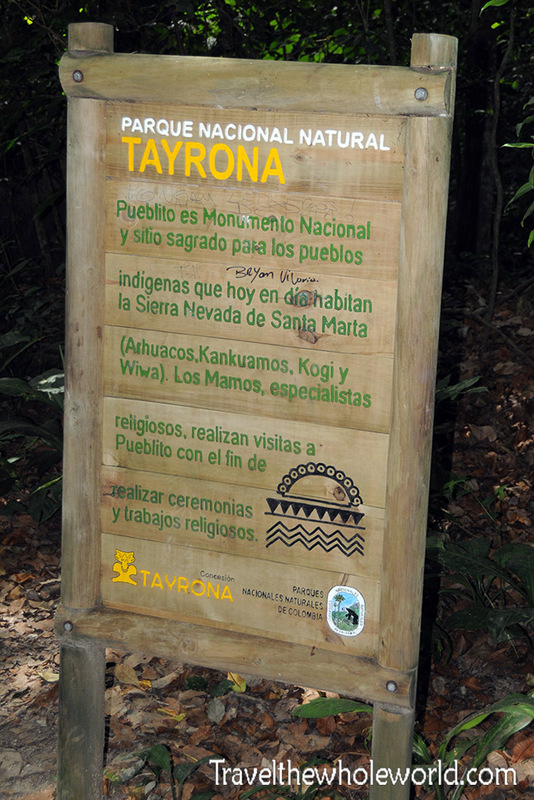 Above is a sign for Tayrona park near the beginning of the hike. The sign states various things about the park such as the different types of tribal people that live here like the Arhuacos, Kankuamos, Kogi and Wiwa. On the right is some of the scenery I came across during a long day hike. The trail through the jungle isn’t a flat dirt path, but rather a windy trail that goes over fallen trees and up and down steep terrain. Some parts of the trail are almost a scramble with large holes in the ground like this one above. There are certainly a few places where the wrong step would mean a twisted ankle or worse. During the hike through the jungle I did visit a tribal village. The natives that live here are known as the Kogi people. Everyone loves photographs of people, but I didn’t take or post any because the experience seemed more of a tourist trap rather than a legitimate tribal visit. They were welcoming but wearing baseball caps and t-shirts while selling souvenirs. I did at least photograph their huts! Deeper within these mountains though are other tribal people who still truly live off the land and aren’t accustomed to foreigners. Supposedly the farther you get from the coast the less friendly they are since they are not used to contact with travelers. My main reason for choosing this hike was to reach the remains of “Pueblito”, an ancient native city that is hundreds of years old. Originally I had planned to visit Ciudad Perdido, or the Lost City which is believed to be over 1,000 years old and much older than Machu Picchu. 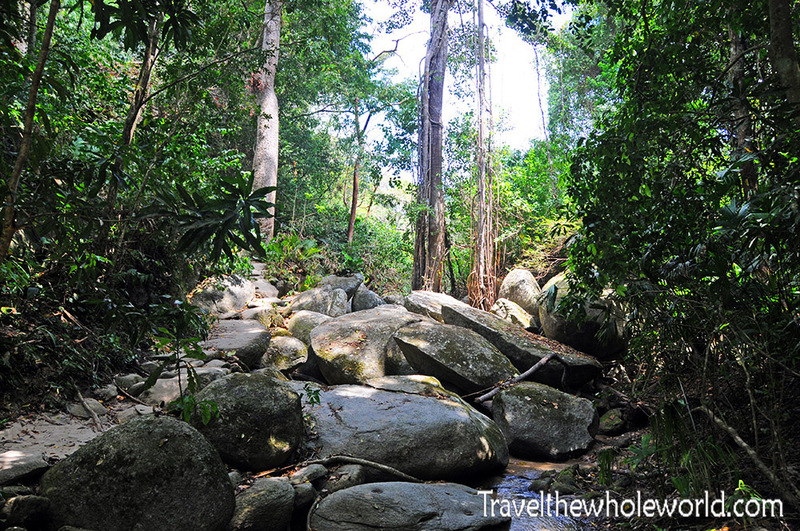 The Lost city is only reachable by hiking trails and you’ll need at least 5 days to get there and back. I ended up changing plans since I wanted more beach time. Pueblito is essentially the same as the lost city, but no where near as large or impressive. 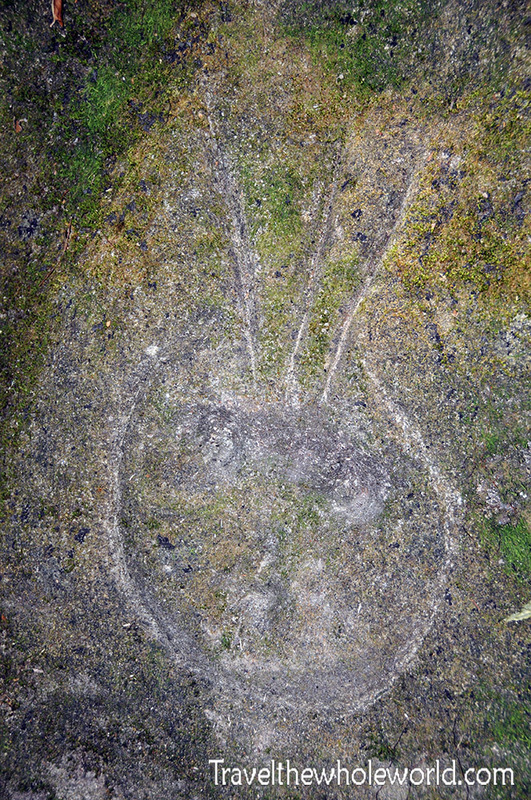 Above on the left was my first sign we were approaching the Pueblito, an animal carving left behind in rock. On the upper right is one of the city’s walkways leading up to what used to be terraces with grass huts built over them. 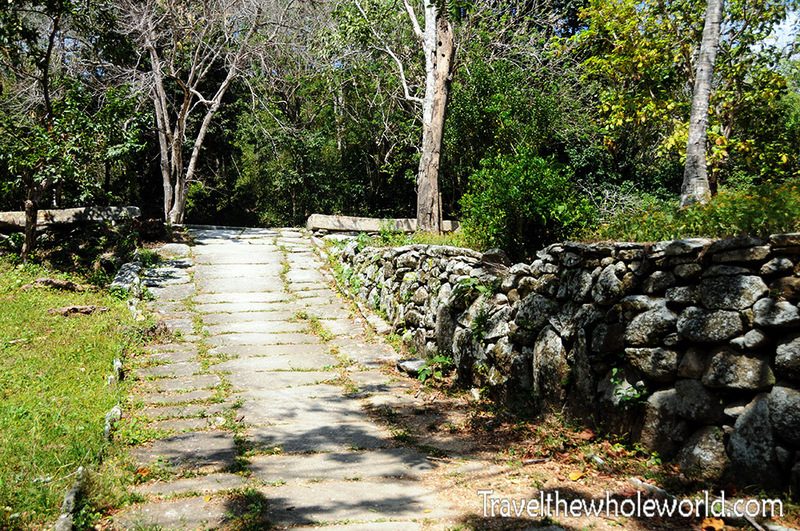 Above are the remains of a long set of ancient stairs in the jungle that were once part of Pueblito. 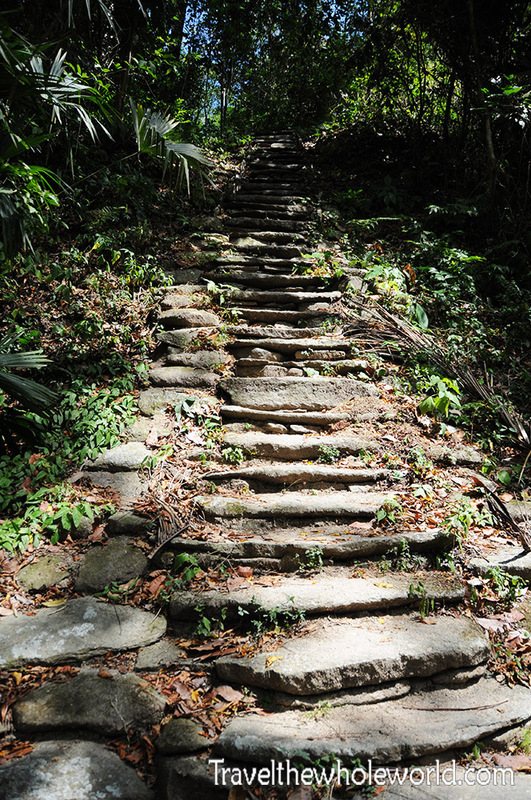 The Lost City actually is famous for its thousand stairs leading out of the jungle to the city itself. 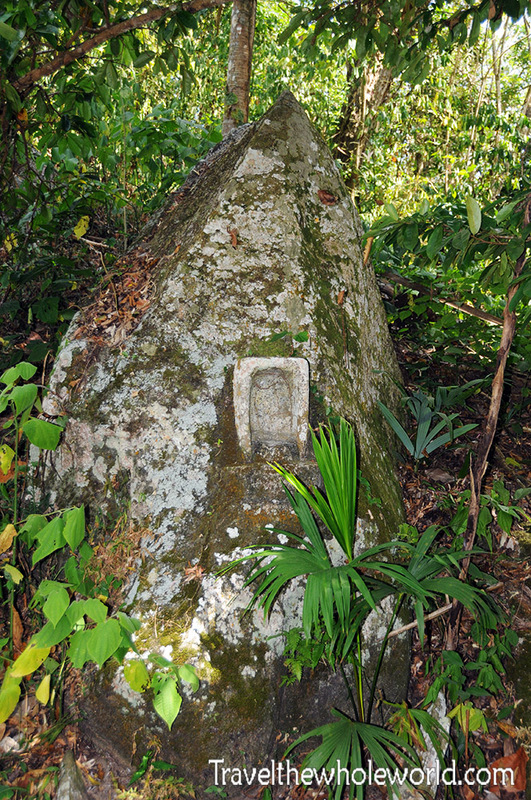 On the right is a large boulder with a section carved out to hold sacred relics. After the Pueblito you’ll have some more challenging hiking until the jungle opens up to the beach. 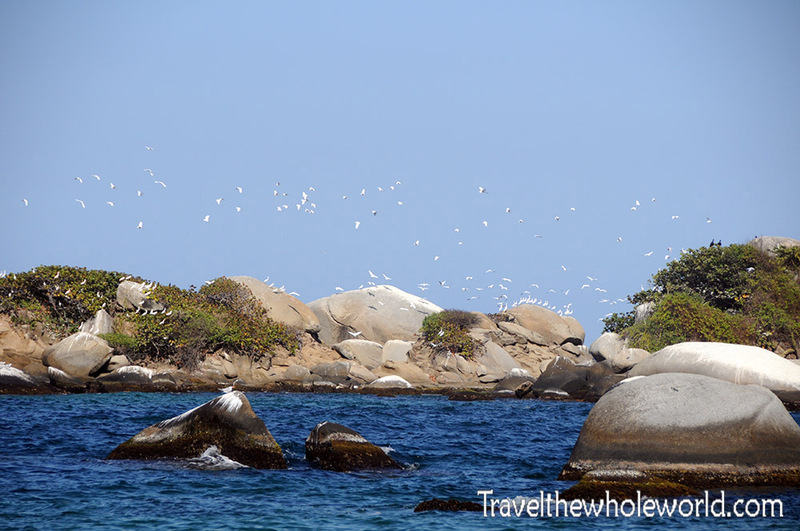 Here I came across some of the most beautiful coastline I have ever seen. 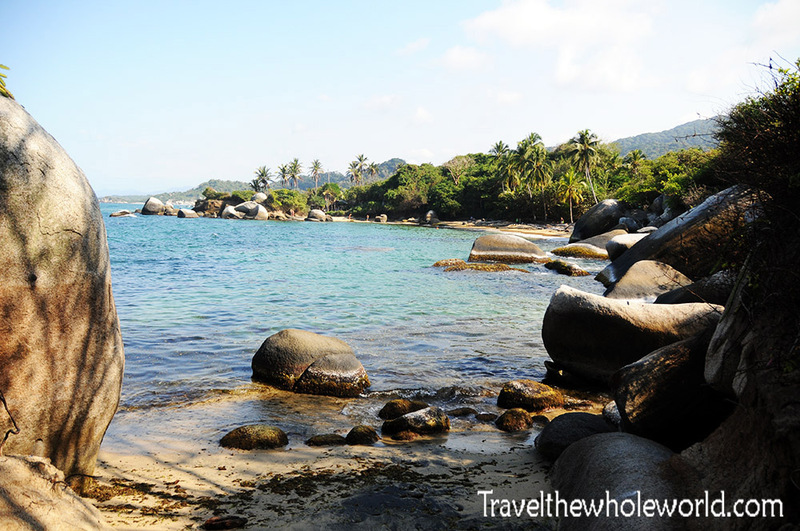 The only way to access this beach is by boat or through the jungle trails. Despite being a few hours hiking from the nearest road, there are a few bungalow restaurants here surrounded by camp sites that have dozens of tourists spending the night. The beaches here extend for miles in either direction so you only have to walk about 20 more minutes or so if you want your own private area. I swam here but the water was quite cold unfortunately. After the swim I walked along the beach for over an hour while enjoying perfect weather and beautiful new scenery. A trail along the beach will lead you back to civilization. 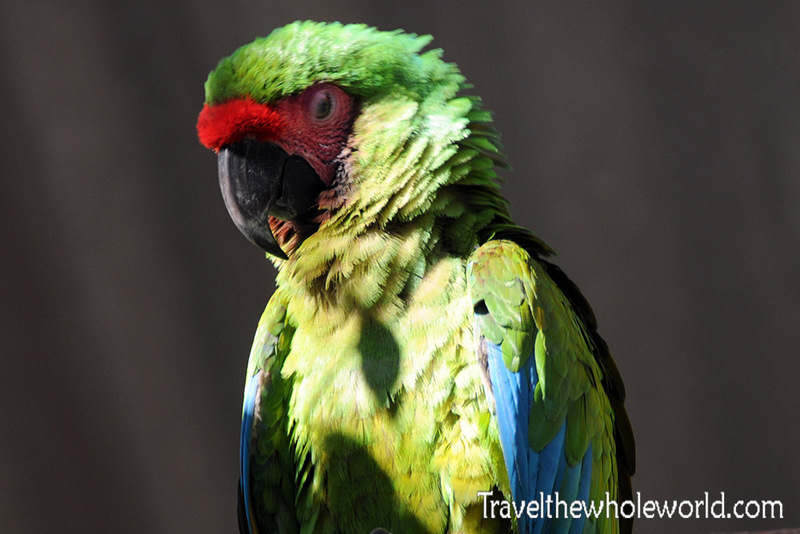 You’ll be sharing it with other tourists, local Colombians and even people on horseback. 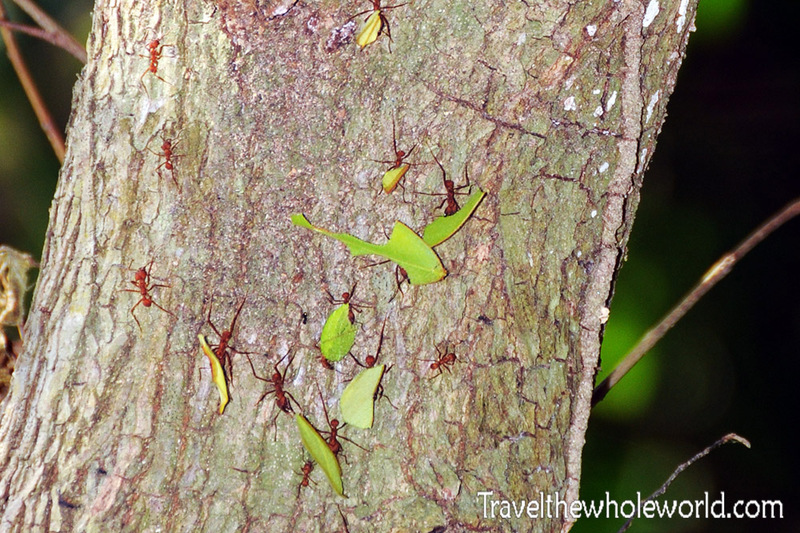 I’ve seen leaf cutter ants on a previous trip to South America but that was in my pre-photography days when I didn’t have a camera and also didn’t even know much about these ants. 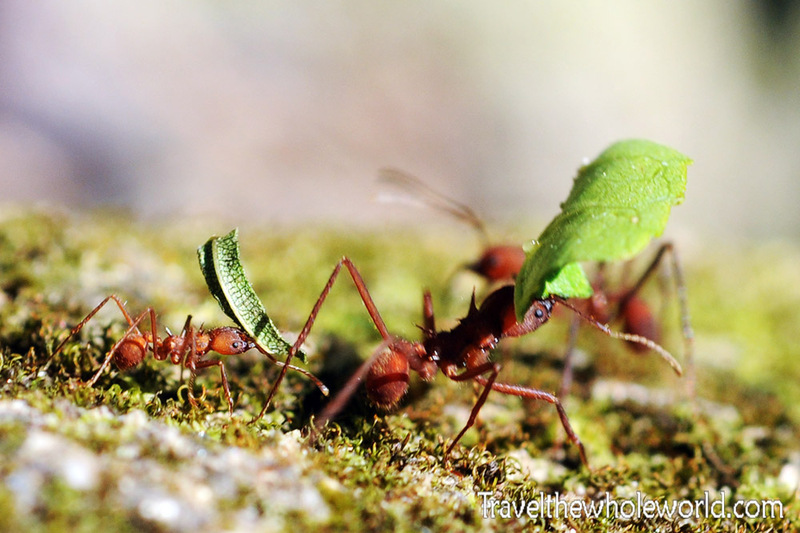 What fascinates me about leaf cutter ants is that they are essentially farmers. 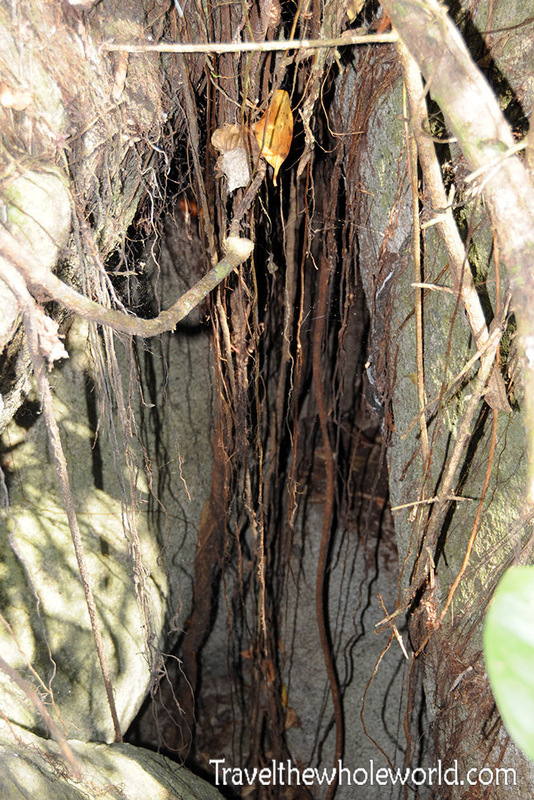 They cut down leaves from a tree and carry it underground where they feed it to a type of fungus which they then feed on. 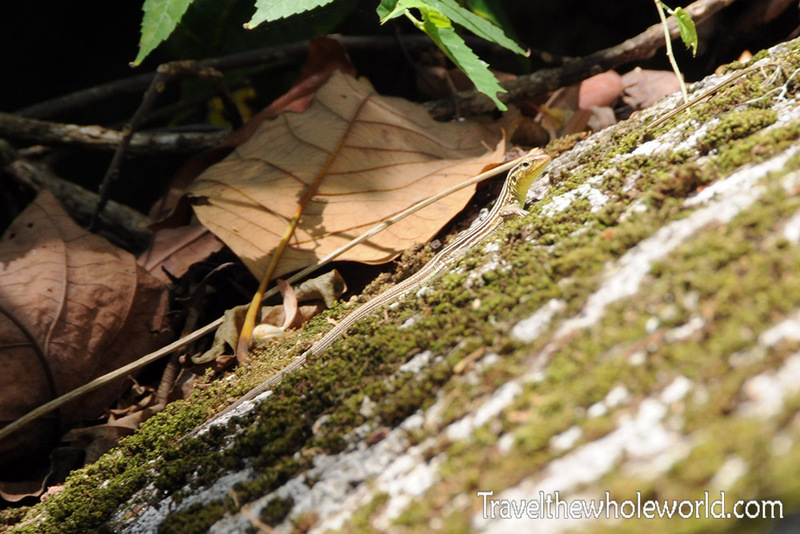 I saw the species of lizard on the upper right many times during my hike. These guys were fast and always darting away and difficult to photograph. 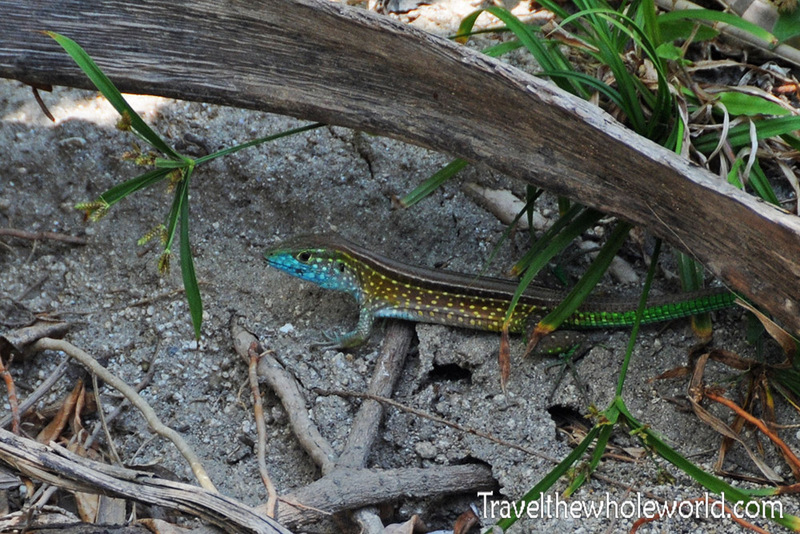 The colorful lizard on the right I only saw as I neared the coast. The smaller lizard on the left was maybe about 3 or 4 inches long while the other lizard was closer to a foot. 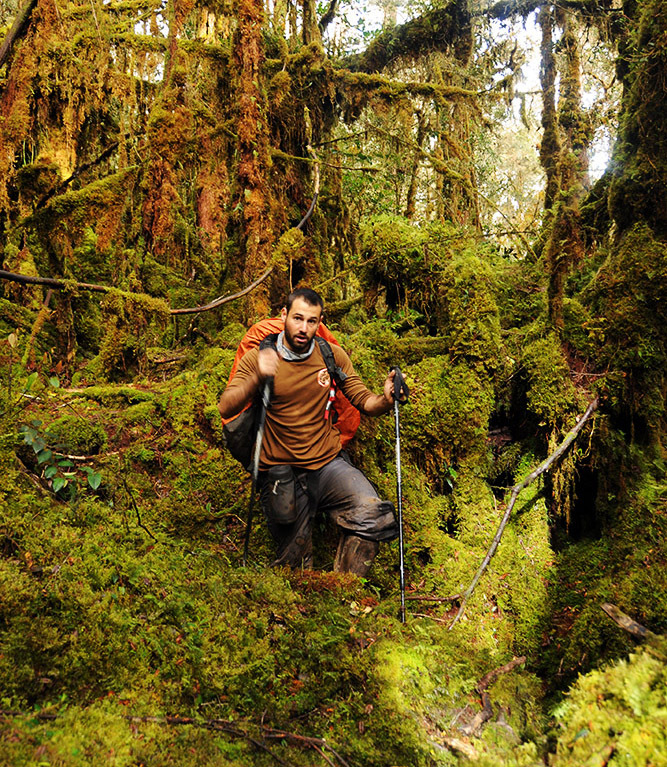 When I went hiking in the jungle in Colombia I was attacked by an angry mob of disgusting tiny flies that made sores that itched much worse than a mosquito bite. It was difficult to sleep the next night because I itched and burned all over. These larger bugs above didn’t bother me since I was able to see them. 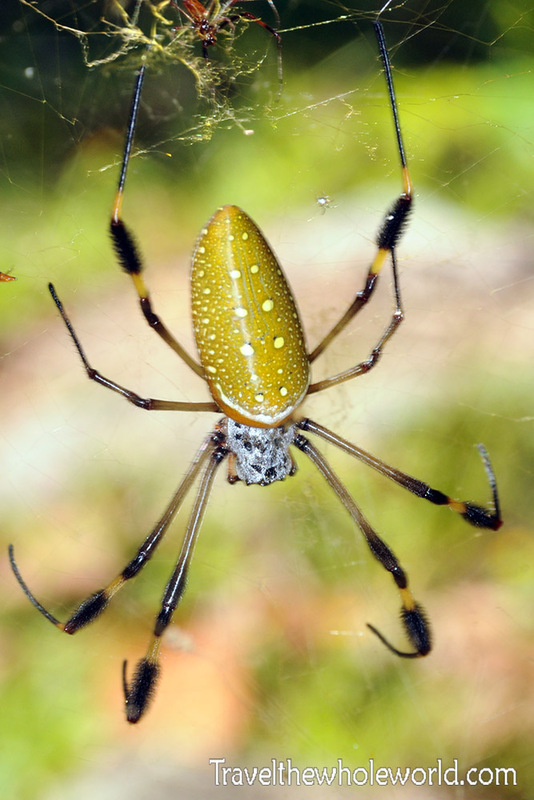 I’m not sure if the spider is poisonous but I’ve seen this species or a closely related species of this spider all over the world. 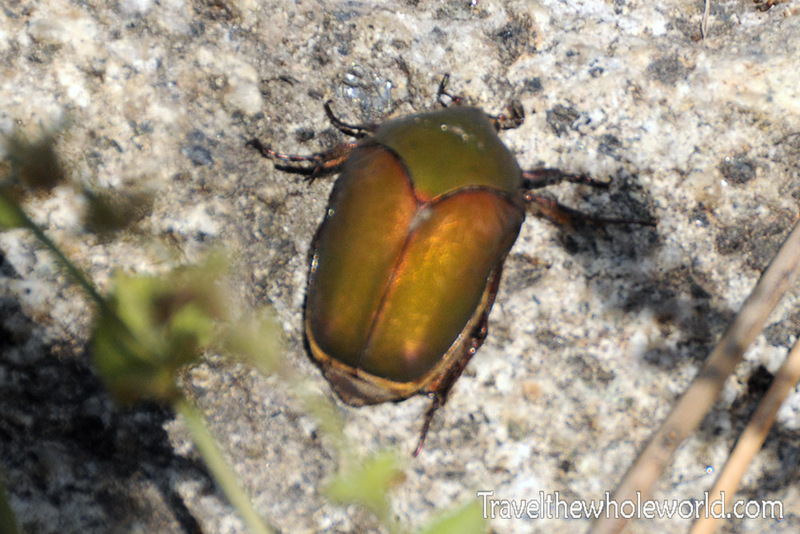 The beetle was definitely harmless and I even picked it up for a while before sending it back on its mission in life. Nothing is better than hiking in the jungle and finding a food you’d normally buy from the supermarket in its natural habitat. 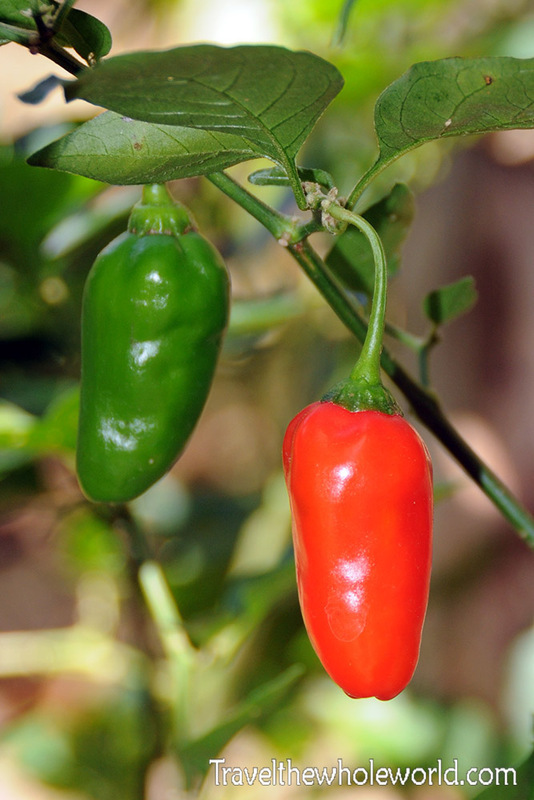 On the left is a pineapple that was naturally growing as well as some hot peppers. 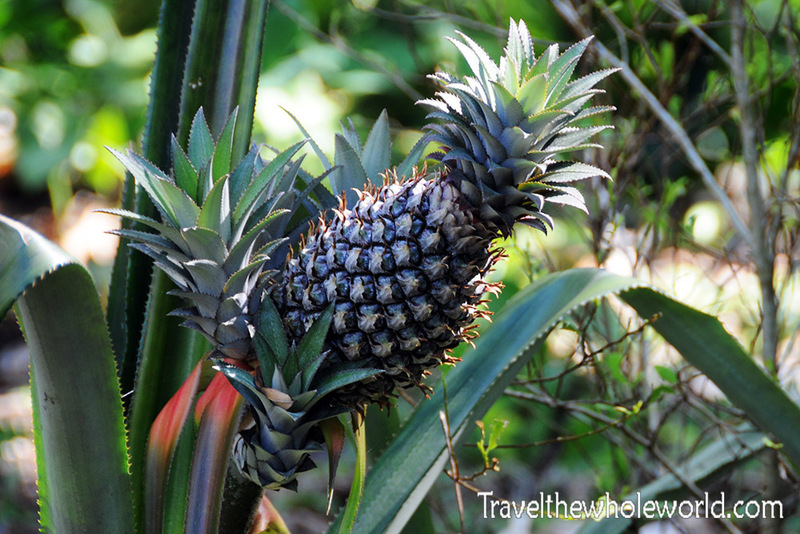 For some reason I thought pineapples grew from large trees, but you learn something new everyday on the road!